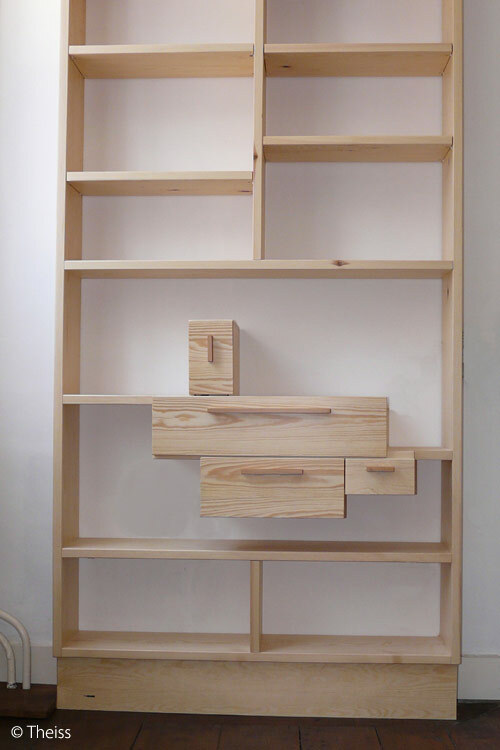 We can make you a bookcase suited to your particular needs. 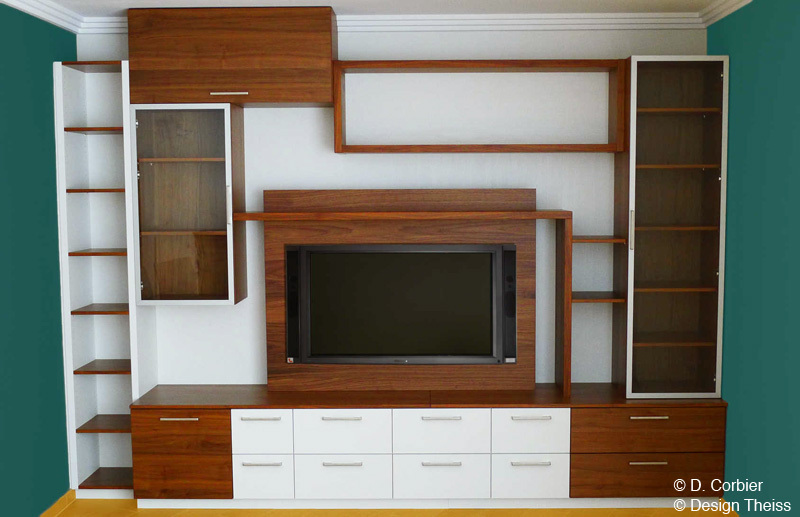 A TV cabinet in harmony with your bookcase? It is possible! 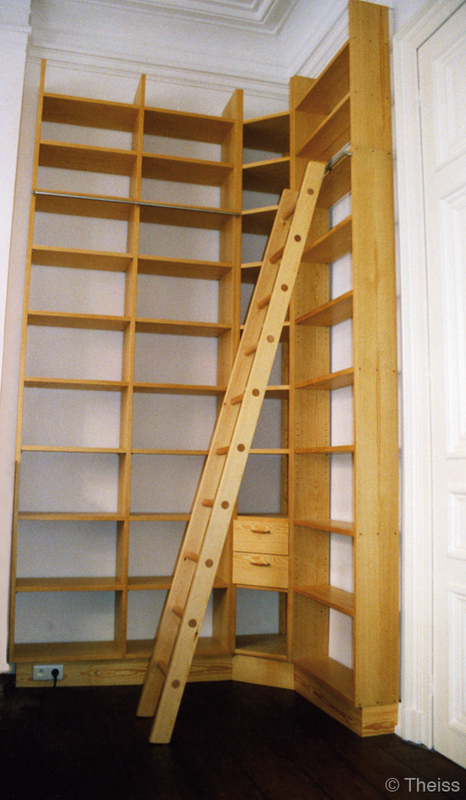 A piece of furniture to store a large number of books. It can go right up to the ceiling, with a ladder if necessary. A piece of furniture to create a user-friendly area in your living room. 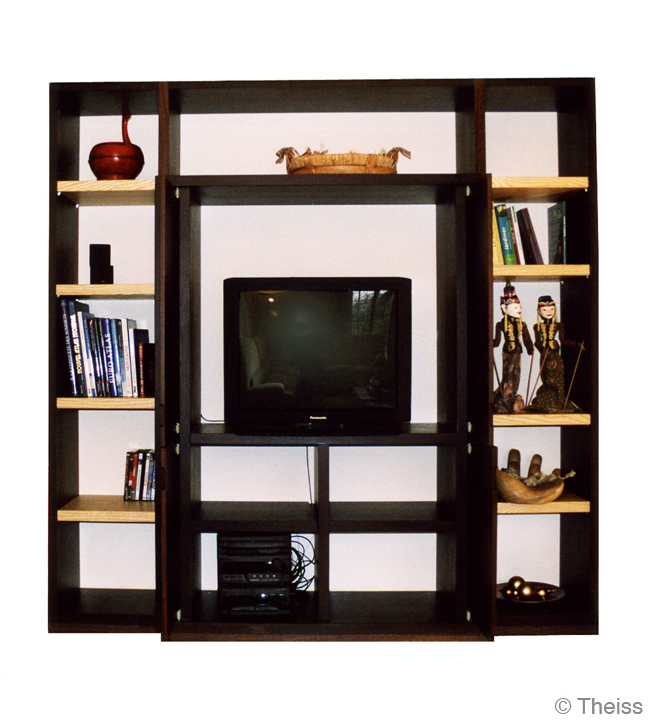 We can integrate a TV, audio equipment on sliding shelves and ambient lighting. 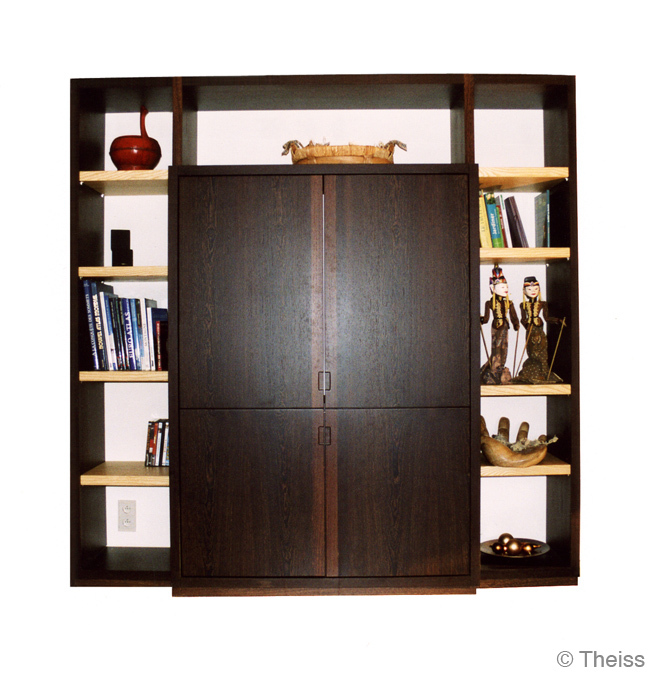 A storage cabinet with spaces of different depths, open compartments and sections with wooden or glass doors. You will find some of our creations to the right of this page.